Is the substrate clean? Mushrooms from some countries have been found to have high contents of either E-Coli (human waste used to fertilize) or heavy metals are present (over use of pesticides). Hence contamination in the raw material is an issue. Is the mushroom strain properly labeled? i.e. 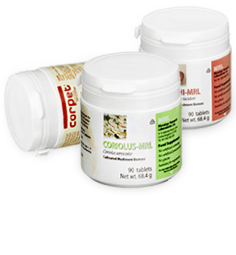 when “Cordyceps militaries” is marketed as “Cordyceps sinensis”. 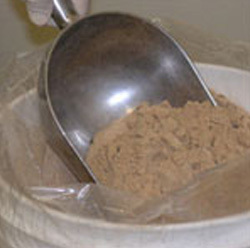 MRL´s source powder contains both mycelium and primordia (young fruiting bodies) of individual mushrooms that are cultivated into a biomass on sterile substrate. This is one of the only cultivation processes which cultivate a biomass that is free from contamination by other fungi, pesticides and heavy metals. The cultivation system is proprietary and certified, allowing for standardized production of individual mushroom nutrition products. Processing is carried out under the same rigorously controlled conditions that are applied to the manufacture of conventional pharmaceuticals. The result is a standardized biomass dried at low temperature, which is further ground while maintaining a low temperature to form a finely ground powder that is either the final product or is further processed into tablets with a standardized biomass content of 500 mg. The choice of binders and additives used in manufacture renders these tablets suitable for vegetarian and healthy diet use. some producers have mislabelled Cordyceps militaris as Cordyceps sinensis.